One of the best things about Florida is the sunshine waiting for you all year round. 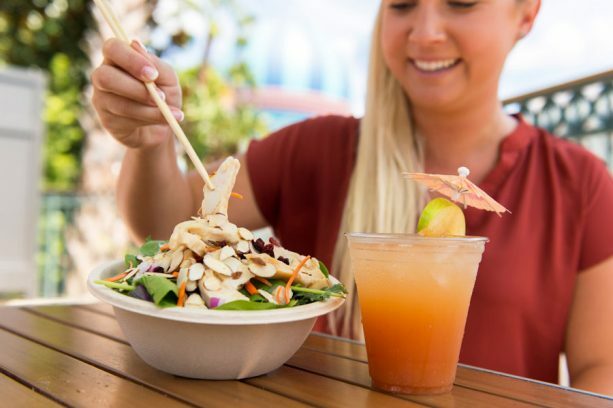 It makes Disney World a great place to enjoy al fresco dining options, especially at Disney Springs. Fresh air and fresh food are a winning combination! 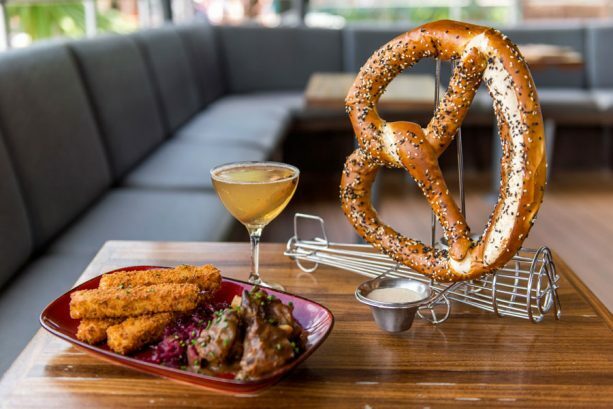 These five restaurants make for delicious outdoor dining at Disney Springs. The BOATHOUSE: With picture-perfect views of Lake Buena Vista, you’ll love dining on deck at The BOATHOUSE. Whether you choose a standard table, a high top or the comfy patio furniture (yes, you can get served there, too! ), be sure to try the lobster roll. On a warm day, it’s not too heavy in spite of the whole Maine lobster used in every roll, and don’t even get me started about how amazing their French fries are! To drink? A nice IPA fits the bill, but for something extra-refreshing, sip on the Cucumber Cooler. 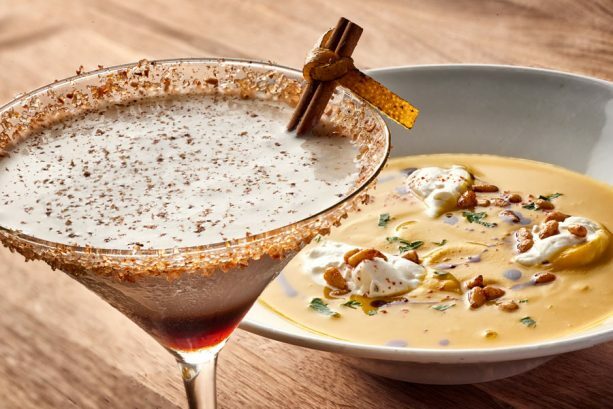 Frontera Cocina by Chef Rick Bayless at Disney Springs™ will delight friends, family and food-lovers with exciting flavors and a contemporary Mexican experience. Warm colors, an open kitchen and a lively atmosphere frame an inviting exploration of the many delights from the kitchen of six-time James Beard Foundation Awards Winner, Chef Rick Bayless. Frontera Cocina: A table here gives you a front row seat to one of the best looks at the springs of Disney Springs. 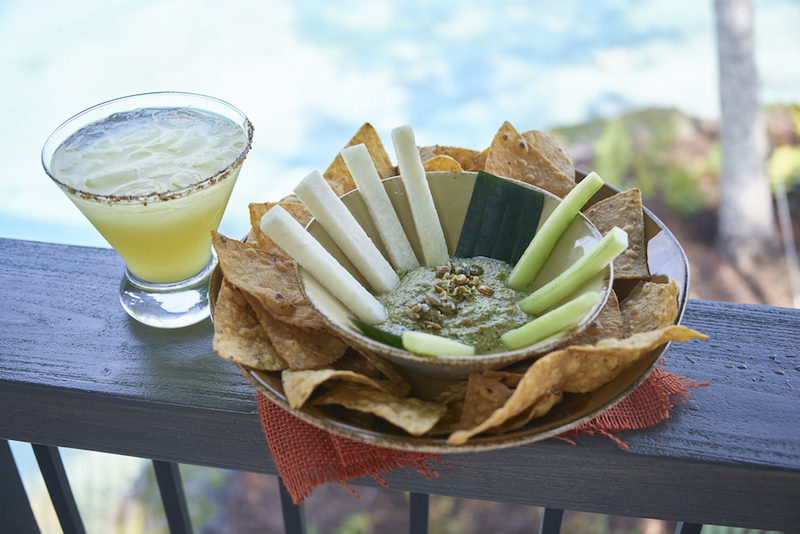 Right over the water, you’re almost guaranteed to feel the cool breeze in your hair as you sip your margarita and savor every bite of freshly made hummus, a nice alternative to the equally delicious guacamole. Of course, you’ll also find tacos, tortas and an array of entrees by celebrity chef Rick Bayless, but on a warm day, nothing on the menu beats their Taqueria Salad with Mojo garlic grilled shrimp. Paddlefish: The third story deck of Paddlefish is one of the best kept secrets at Disney Springs. 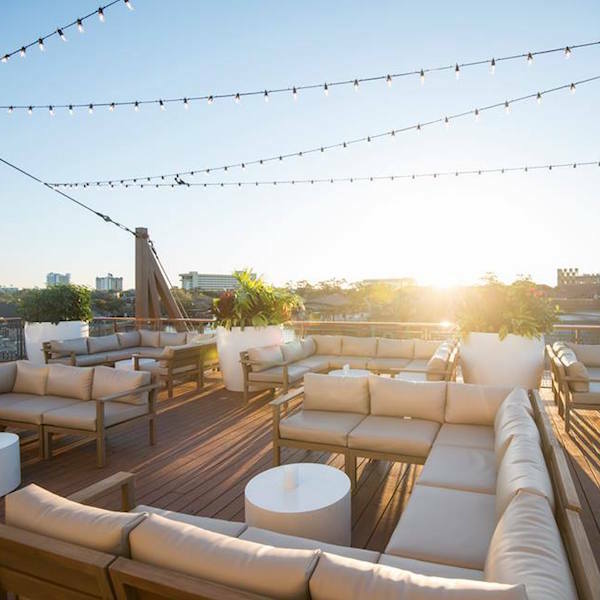 If you haven’t yet found your way to the open-air rooftop of this iconic paddleboat-inspired seafood restaurant, put it on your “to-do” list. For a special evening out, order the Seafood Tower – everything is fresh and chilled to just the right temperature. 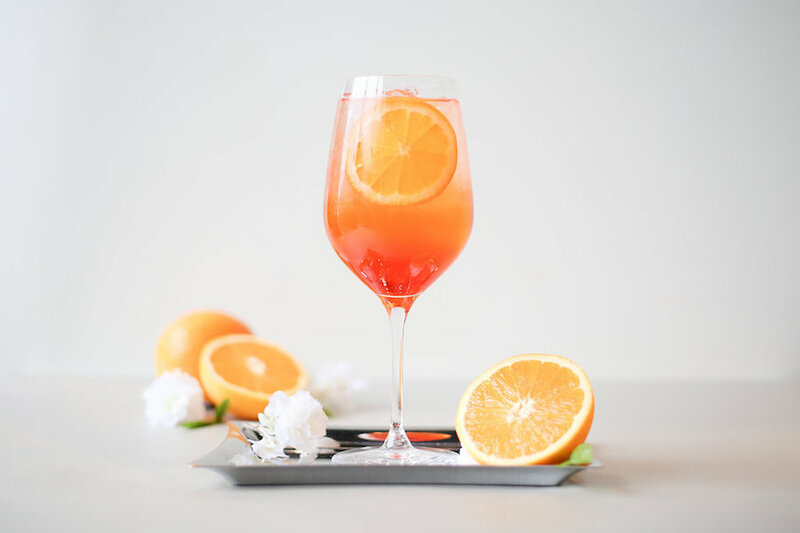 The drinks are divine, too … grab a group of friends and treat yourself to a carafe of perfect-for-spring house-made red sangria with Framboise, Crème de Mure, orange juice, tempranillo, and seasonal fruit. 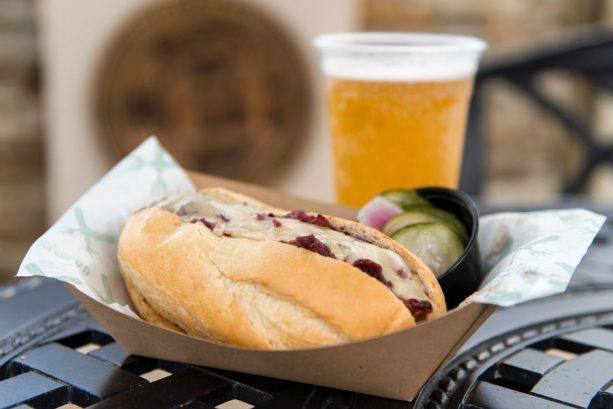 Raglan Road Irish Pub and Restaurant: For more than a decade, the patio at this authentic Irish pub has been dazzling guests with incredible entertainment on their outdoor stage, all the while serving their full menu of favorites to guests lucky enough to snag an outside table. 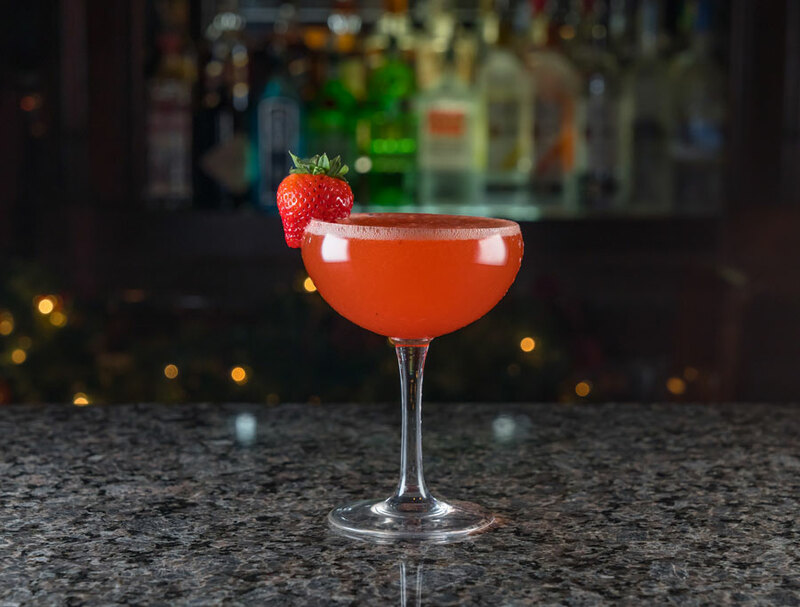 While you can certainly experience patio dining seven days a week, think about booking a brunch reservation with options like the “Full Irish” (a full Irish breakfast, naturally), “Ellis Isle Steak’n Eggs” and “Pancakes Diaspora”—all pair nicely with the Strawberry Fields Mimosa. 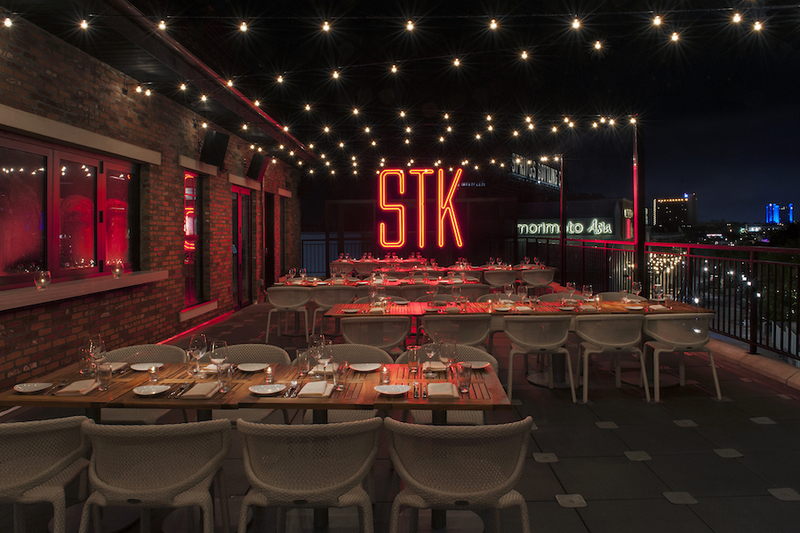 STK Orlando: A favorite for late-night, STK Orlando is another great spot for dinner and drinks under the stars (and beneath ambience-adding string lights)! While steak is what they’re known for, and rightly so, the Buratta Salad is delicious, too. 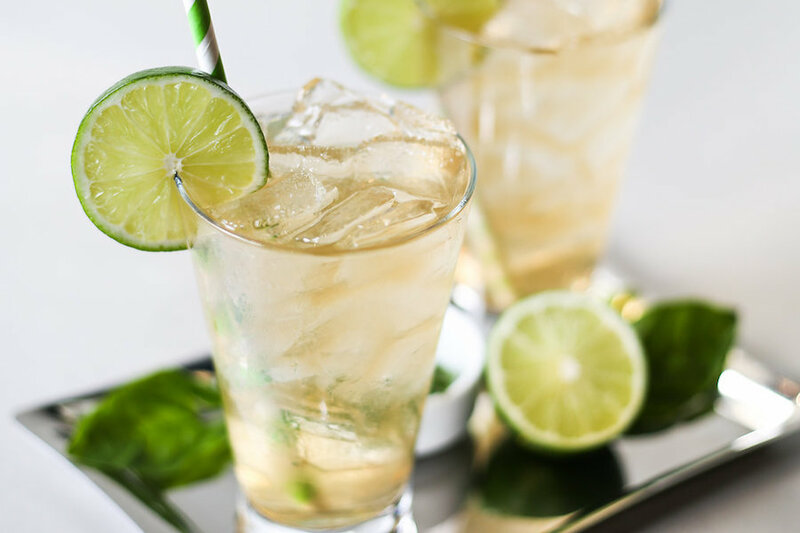 Cocktails abound, but for an appealing accompaniment, order a glass of the Cloudy Bay Sauvignon Blanc, a vibrant, peppery white wine with bold fruit and floral notes. 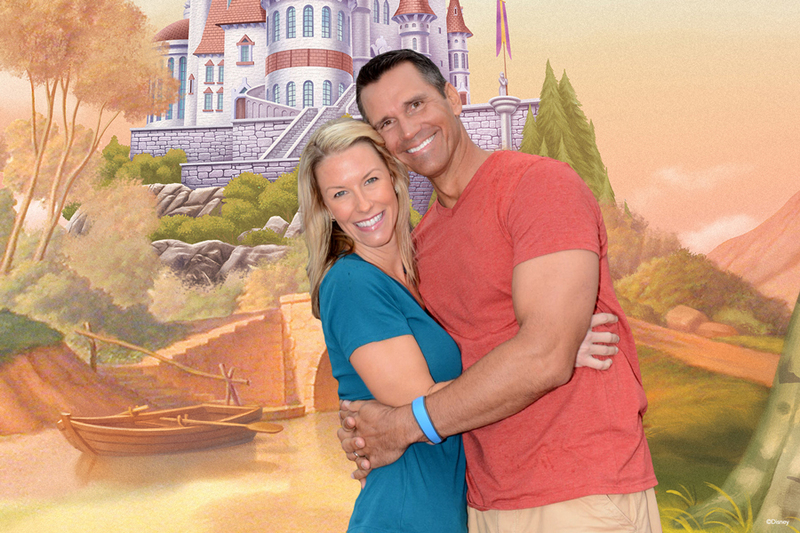 Date night for two, girls’ brunch, family lunch … whatever the occasion, Disney Springs is the place to enjoy it, especially now with the incredible Central Florida weather! 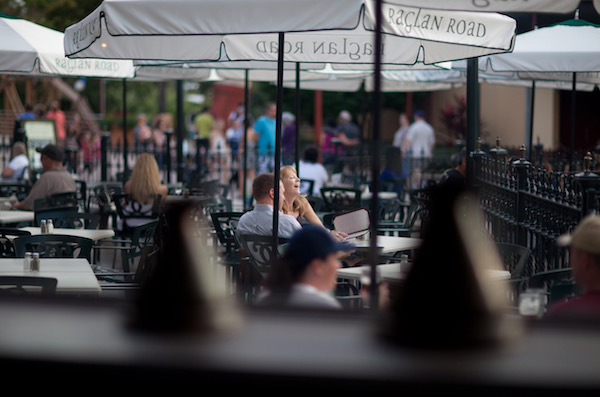 Do you have a favorite spot for outdoor dining at Disney Springs? If so, share in the comments below – I’d love to know. 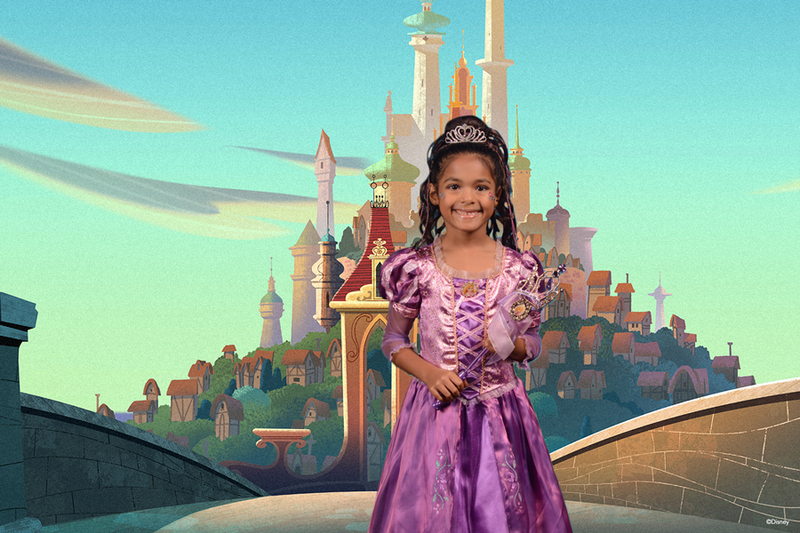 This entry was posted in Disney, Disney World, Florida, Orlando, United States, Walt Disney World Resort and tagged Disney Springs on September 10, 2018 by siera. NEW! Maria & Enzo’s: The newest brunch offering at Disney Springs can be found at Maria & Enzo’s. Venture into the renovated airline terminal and discover an elegant buffet of starters that include salumi & cheese, antipasti, pizza, yogurt and assorted pastries. 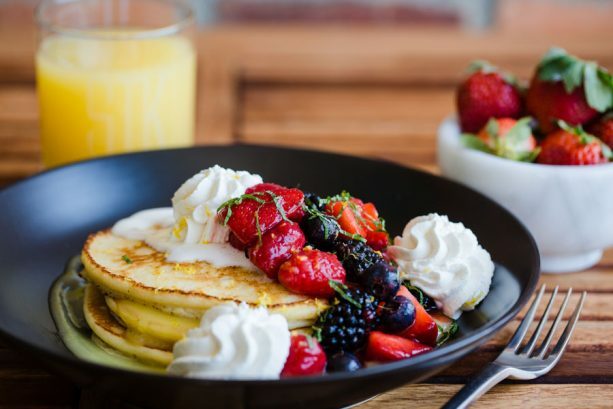 Pair it with one of the classic and contemporary dishes on menu, including French Toast, Poached Hen Egg & Quinoa Kale Salad, NY Strip Steak ‘N Eggs, Farmstead Vegetable Frittata or Spaghetti Alla Carbonara. The prix-fixe affair is $35 per adult and $15 per child (ages 3-9); kids under two eat free. For the ultimate indulgence, you can add on endless mimosas and bellinis for just $15 more. 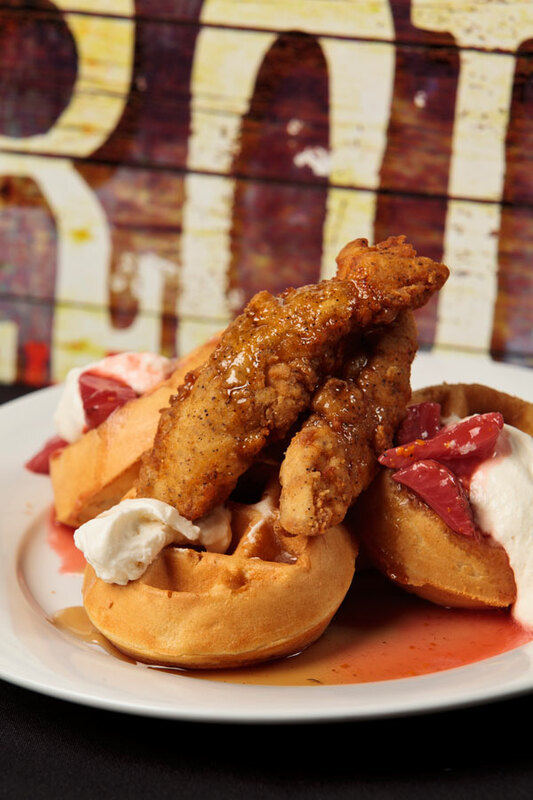 House of Blues Gospel Brunch: Taking place on Sundays at 10:30 a.m. and 1:00 p.m., the World Famous Gospel Brunch is a one-of-a-kind experience that puts the spotlight on local talent and southern specialties. Traditional and contemporary Gospel songs just may move you to wave a napkin and dance off some of their delicious cuisine (speaking from experience, here), including biscuits & gravy, fried catfish, peel and eat shrimp, chicken & waffles, honey baked ham, roast beef and much, much more. 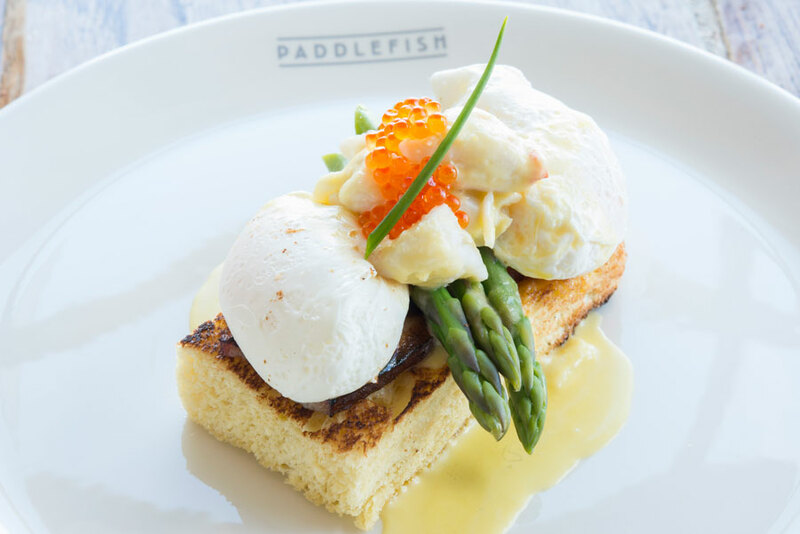 Paddlefish: Come aboard and enjoy classic brunch favorites like the popular Crab & Asparagus Benedict or the mouthwatering Monte Cristo. 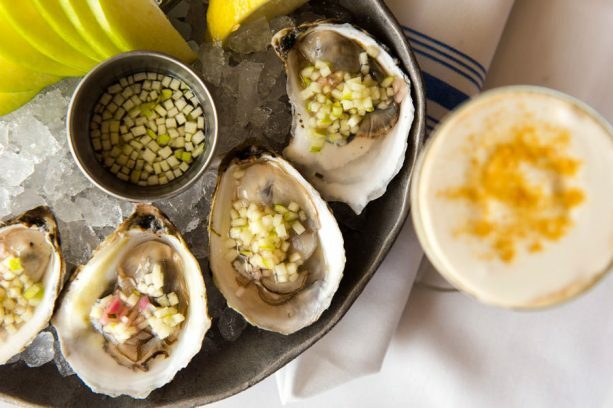 Both pair nicely with a glass of the Southern Sangria, a house favorite. 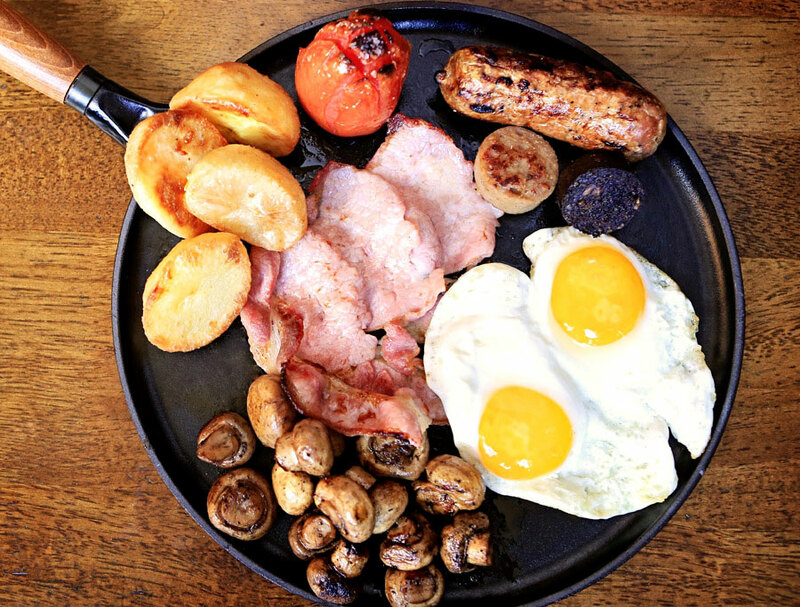 Raglan Road Irish Pub and Restaurant: The Rollicking Raglan Brunch is offered every Saturday and Sunday from 10 a.m. – 3 p.m. and features authentic Irish music, food, drink and live entertainment. 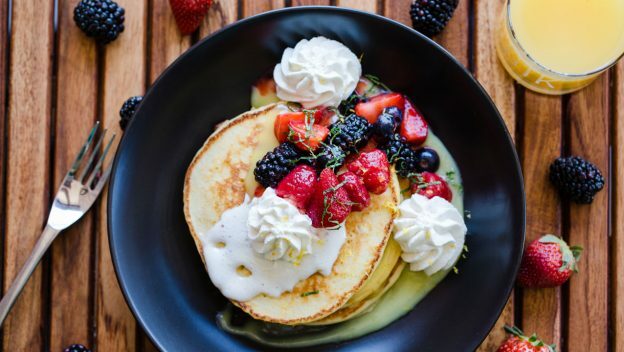 With brunch entrees ranging from $8-$26, the menu is brimming with Irish taste treats including the Full Irish Breakfast, Pancakes Diaspora with crème fraiche, maple syrup and berry compote, and Smoked Salmon Potato Cakes, to name a few. 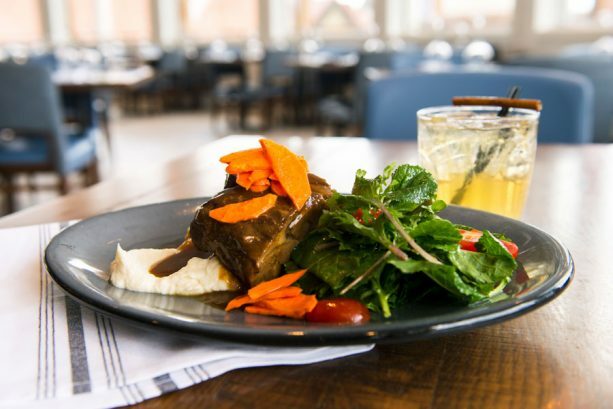 If you prefer “lunch” fare, the slow-roasted Guinness-glazed Rack of Heaven baby back ribs, Lobster Club and famous Shepherd’s Pie are among their best sellers. Plus, dancers and live music will keep you entertained throughout your meal. STK Orlando: Most days you can order a la carte, and while STK is always known for their superb steaks, it would be a mistake to leave without trying their Cinnamon Monkey Bread. 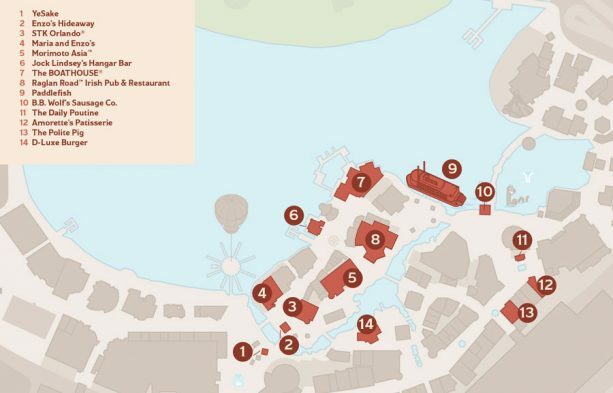 Ready to make a reservation for brunch at Disney Springs? 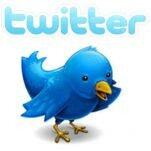 Call 407-WDW-DINE or make a reservation here; some venues also accepting bookings via the Open Table app. This entry was posted in Disney, Disney World, Florida, Orlando, United States, Walt Disney World Resort and tagged Disney Springs on July 9, 2018 by siera. Coming this winter, three modern Italian restaurants will be arriving at Disney Springs. These restaurants, all new concepts created by the Patina Restaurant Group, each feature unique menus and authentic Italian food in a beautiful and expansive dining complex. The complex will be located adjacent to The Edison, a lavish “Industrial Gothic”-style destination also being developed by Patina. 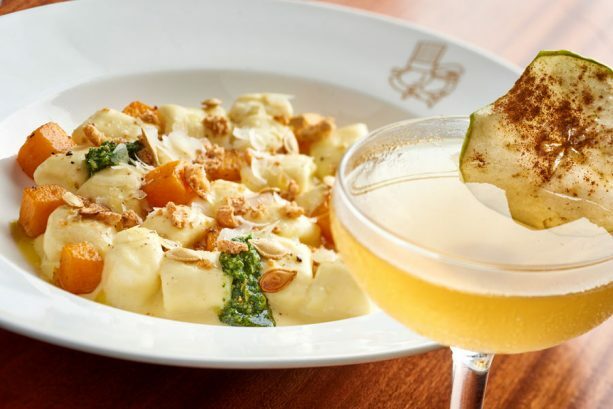 The new concepts all tie into Disney Springs’ storyline of a restored Florida waterfront town, bringing unforgettable food and wine direct from Italy to the Sunshine State, with stunning scenery you can only find at Disney Springs. The first concept, called Maria & Enzo’s, is a trattoria set in the town’s abandoned 1930’s airline terminal which has now been transformed into an open and airy restaurant. Featuring gorgeous views of Lake Buena Vista and incredible 50-foot ceilings, the interior dining room is adorned with artifacts that reflect air travel of the time such as maps and historic flight paths. 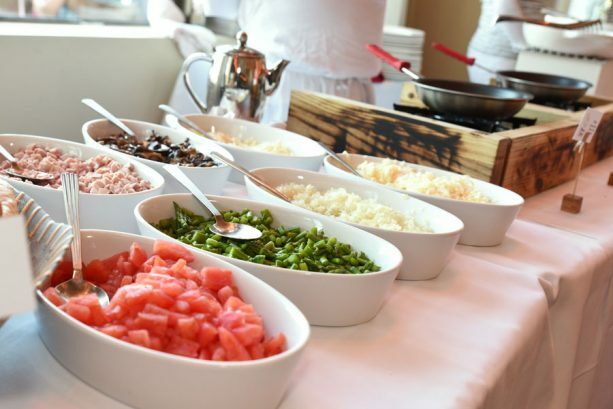 Inspired by Sicily, the menu has a delightful range of family-friendly dishes – Arancini di Carne (rice balls stuffed with meat), Melanzane Parmigiana (eggplant parmesan), and handmade pastas including Busiate con Granchio (spiral pasta with crab) and ‘Ncasiata al Forno (Sicilian baked pasta) – all served tableside. Other delectable highlights include fresh fish, richly flavored steaks and chops. The second concept is Enzo’s Hideaway – Enzo’s own personal speakeasy inspired by Roman aperitivo bars. Located in the storied rum-runner tunnels that adjoin Maria & Enzo’s and steeped in Florida’s true history of rum-running, Enzo’s Hideaway will pour Prohibition-era cocktails at its Tunnel Bar and serve a casual menu of hearty Roman Dishes such as the city’s legendary Bucatini alla Carbonara (hollow spaghetti with creamy egg and pancetta sauce) and Tonnarelli Cacio e Pepe (square-cut spaghetti with pecorino and black pepper). Finally, Pizza Ponte rounds out the group with a fast-casual restaurant serving pizza, pastries, Italian sandwiches and espresso. 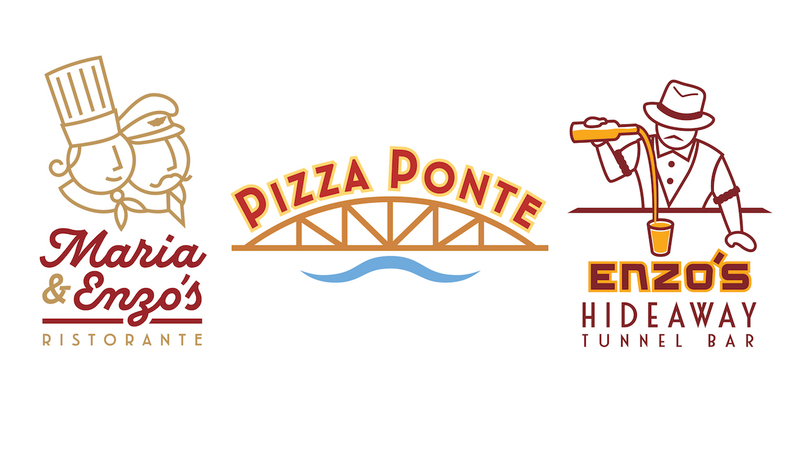 With the perfect blend of savory and sweet, Pizza Ponte is the ideal place quick bite. On the savory side, the menu features Pizza al Taglio (Sicilian-style pizza served by the slice), signature Tirangolo (stuffed pizza bread) sandwiches, and Porchetta (roast pork). To satisfy your sweet tooth, pastry specialties include Bombolini (Italian donuts), Sfoglia di Riso (pastry with rice cream), and Tiramisu. 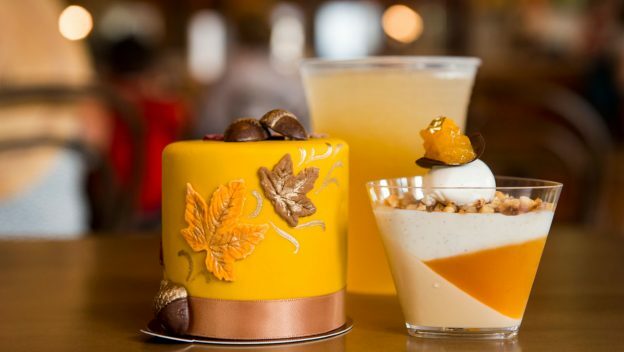 These new concepts are just the beginning of a whole new list of exciting food and beverage concepts coming to Disney Springs. Coming soon are new locations such as The Edison, Terralina Crafted Italian, Wine Bar George, Jaleo by José Andrés, and Wolfgang Puck Bar and Grill! 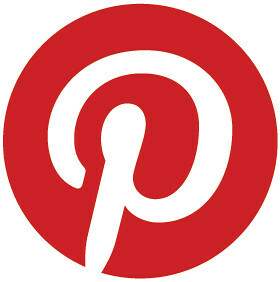 Stay tuned for more updates on these amazing new locations. 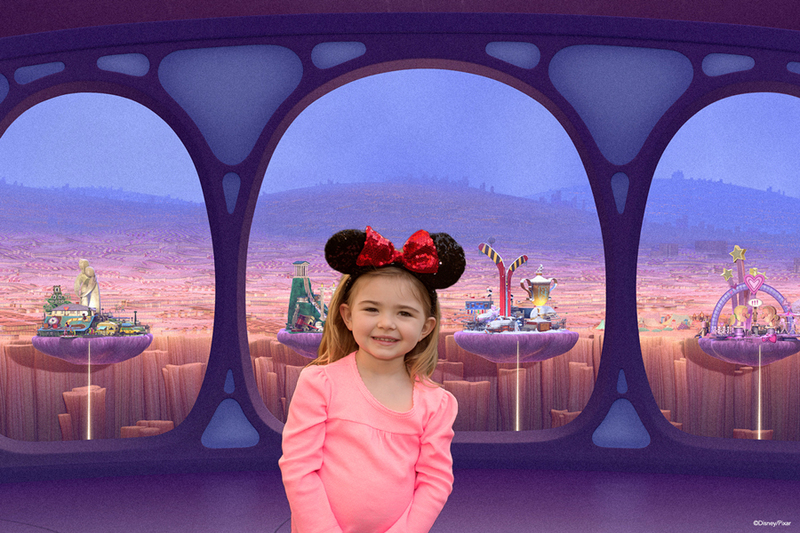 This entry was posted in Disney, Disney World, Florida, Orlando, United States, Walt Disney World Resort and tagged Disney Springs, Disney World on November 9, 2017 by siera. The secret is out. Disney Springs has the most complete collection of Disney-inspired products anywhere! Because of that, it may be where you want to start your holiday shopping. A Bigger, Better Disney Springs’ Christmas Tree Trail: Last year Disney introduced custom decorated holiday trees to the Marketplace, each themed to a popular Disney story or character. 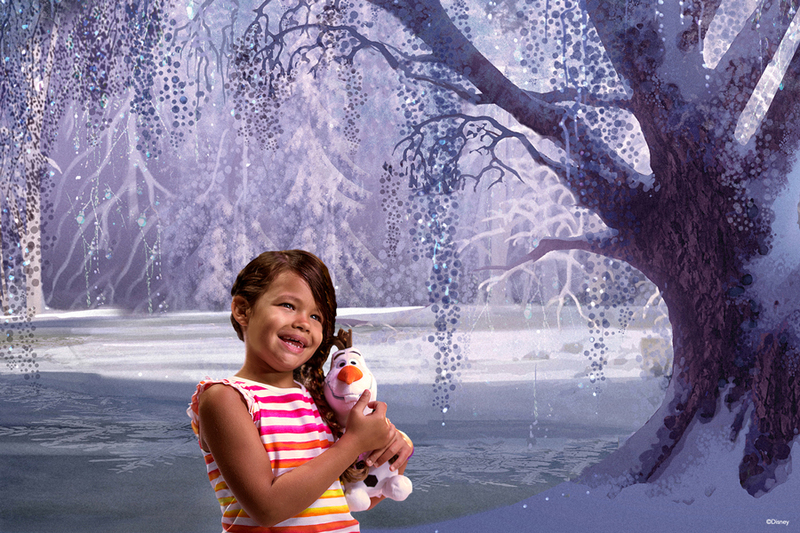 This year, the Christmas Tree Trail will expand to twenty-five trees – many of them larger than last year’s evergreens – including ten new trees inspired by Disney classics such as Sleeping Beauty, Peter Pan, Snow White and Dumbo. Stitch’s Holiday Gift Hunt: The mischievous experiment 626 is at it again with an expanded scavenger hunt featuring four new stops, including a special stop at the more-magical-than-ever Disney Springs’ Christmas Tree Trail. 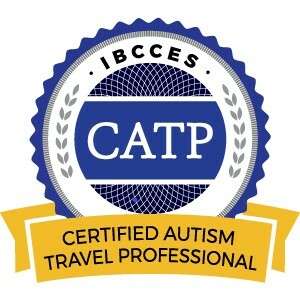 This is a great activity for families with kids! 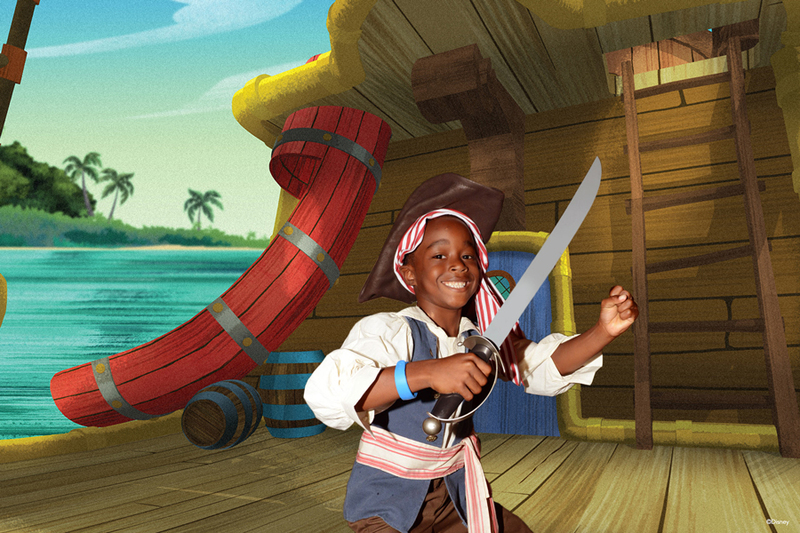 It’s your chance to work together, decipher clues, and discover all the spots where Stich is hiding. Complete the mission and receive a limited-edition button. Meet & Greet with the Coca-Cola Polar Bear: The eight-foot tall Coca-Cola polar bear is available for meet and greets on the second floor of The Coca-Cola Store. 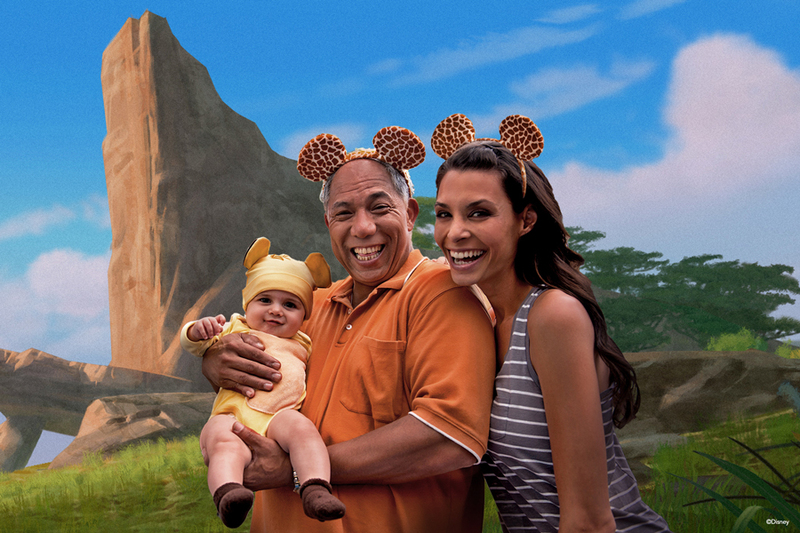 If your family is Coca-Cola fans, you won’t want to miss this unique photo opportunity. La Nouba by Cirque du Soleil: After nearly twenty years, “La Nouba” will take its final bow on December 31, 2017. There’s nothing else quite like the gravity-defying, jaw-dropping thrill of this stunning 90-minute show. There are still limited tickets available; visit www.cirquedusoleil.com/la-nouba for additional information and to purchase. Complimentary and adjacent self-parking keeps things simple and hassle-free. 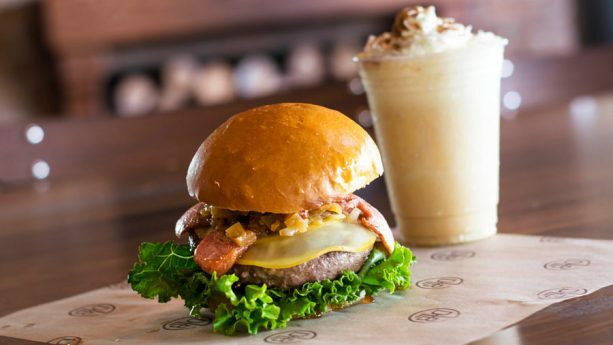 With the retail delivery service available at all Disney Springs stores, you can easily pop in to any of the award-winning restaurants to relax and refuel. This entry was posted in Disney, Disney World, Florida, Orlando, United States, Walt Disney World Resort and tagged Christmas Tree Trail, Disney Springs, Disney World, Stitch's Holiday Gift Hunt on October 10, 2017 by siera. Before you know it, the first day of school will be here. So today, we’re visiting Disney Springs for a first look at some “must have” back to school 2017 items and accessories to make this year extra magical. 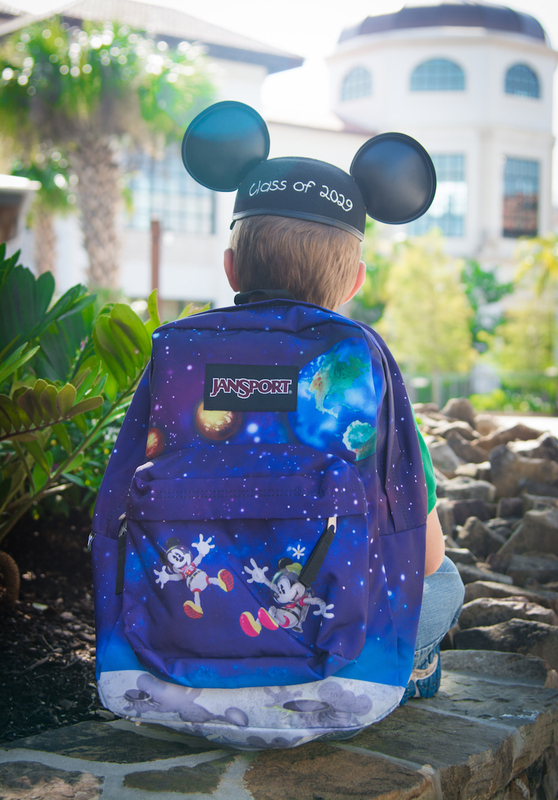 At Disney Springs, finding a great school outfit is easy. Levi’s has a large selection of kids’ clothing, and offers custom tailoring, hemming and embroidery to help create a comfortable, unique look. 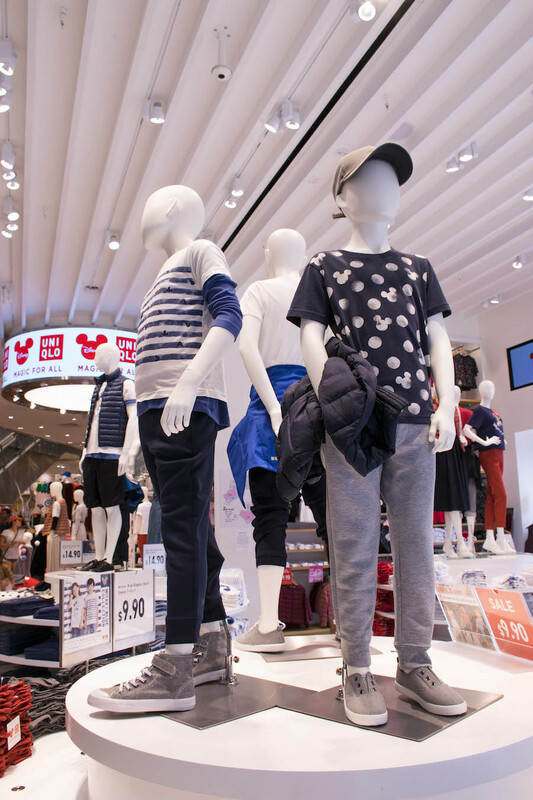 Also, UNIQLO is packed with back to school essentials and has a variety of Disney-inspired clothing to show off your favorite character in style. There are also some great deals on school outfits at Disney Springs. Superdry is offering $50 off your purchase of $200 or more August 18 through September 5, and when you spend more than $100 at Shore, you’ll receive a drawstring backpack August 18 through August 20. For more back to school staples, check out Columbia Sportswear, Volcom and LACOSTE. Finding a perfect backpack is simple at Disney Springs. CURL by Sammy Duvall has a variety of Disney-inspired Jansport backpacks. And Vera Bradley and Kipling in the Town Center also have backpacks and bags in a wide assortment of styles and colors. 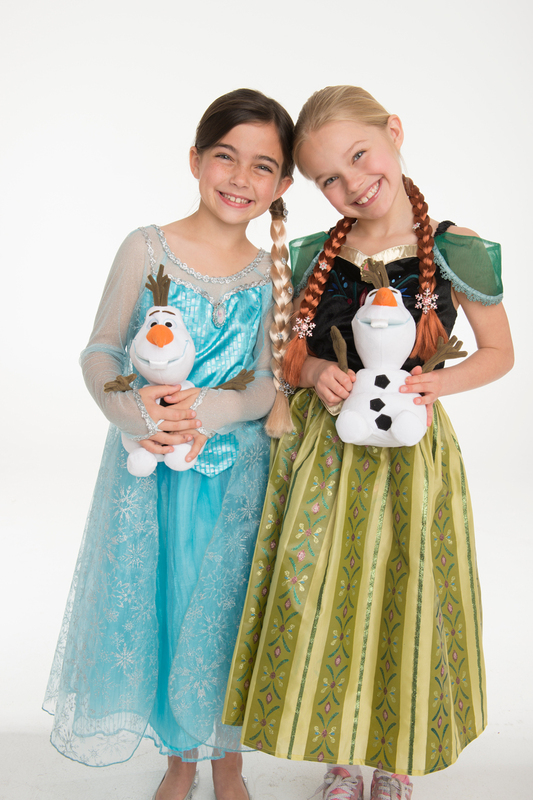 Both locations offer custom embroidery on all products, including pencil cases, lunchboxes, and more. Need accessories? 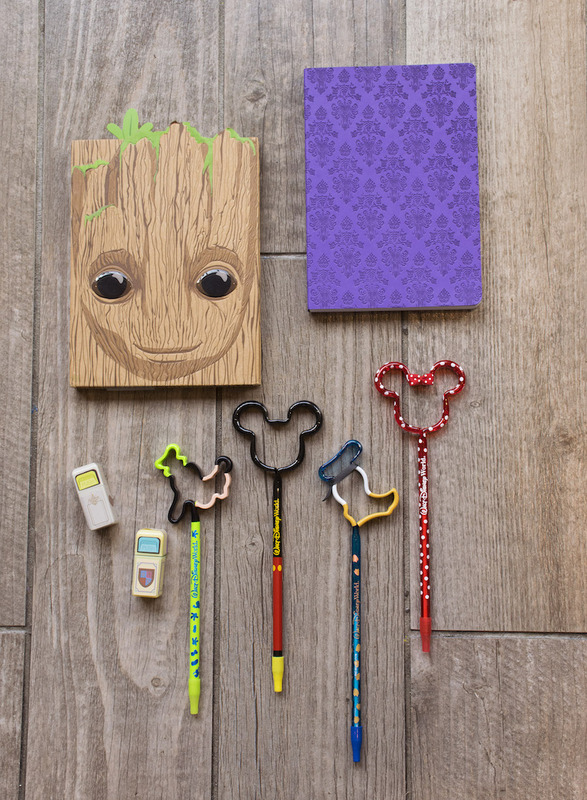 World of Disney is now offering an impressive assortment of pens, pencils, notebooks, and tablet cases. Francescas also has a fun selection of back to school items as well as a variety of stylish jewelry and accessories. If you’re looking for shades, be sure to stop by Sunglass ICON and APEX by Sunglass Hut. Both are offering $40 off a second pair of polarized glasses when you purchase one full-priced pair. Edward Beiner, a location that can fill your eyeglass prescription in-store, is another great option to eyewear – offering the latest lens and frame styles for all ages. 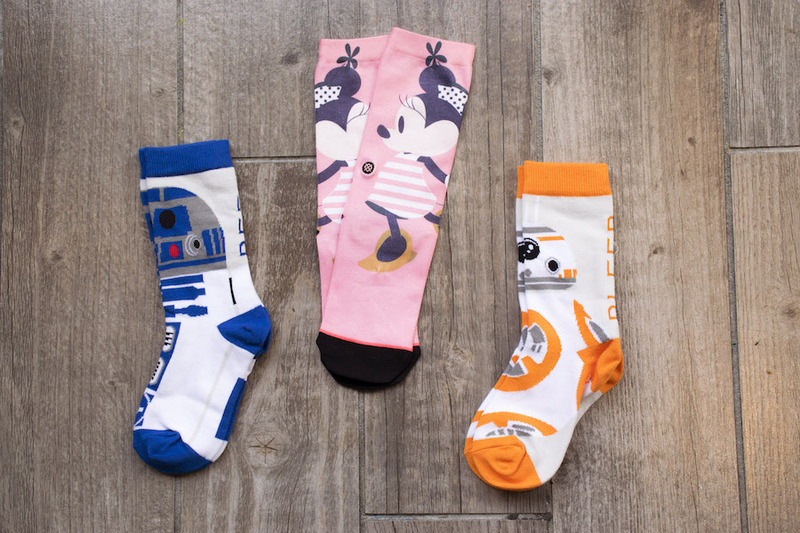 You can “pair” your new school outfit with a perfect pair of socks at the World of Disney or sock-specialty store Stance, carrying Disney, Star Wars, and Marvel-inspired collections for your feet. Specialty footwear retailers Sperry and UGG are offering promotions during the back to school shopping season. Visit Sperry for 30% off select styles, now through August 18. At UGG, enjoy complimentary customization up to $20 on any purchase of Kids’ Classic II product. Fit2Run, the Runners Superstore and Melissa Shoes both offer Disney character-inspired footwear selections to complete your first day of school outfit. College-bound students looking to fill their toiletries bags should stop by Basin. The store is offering $10 off when you purchase a body butter, scrub, and three bath bombs together from August 4 through 6. And Sugarboo & Co. has all of your dorm essentials. 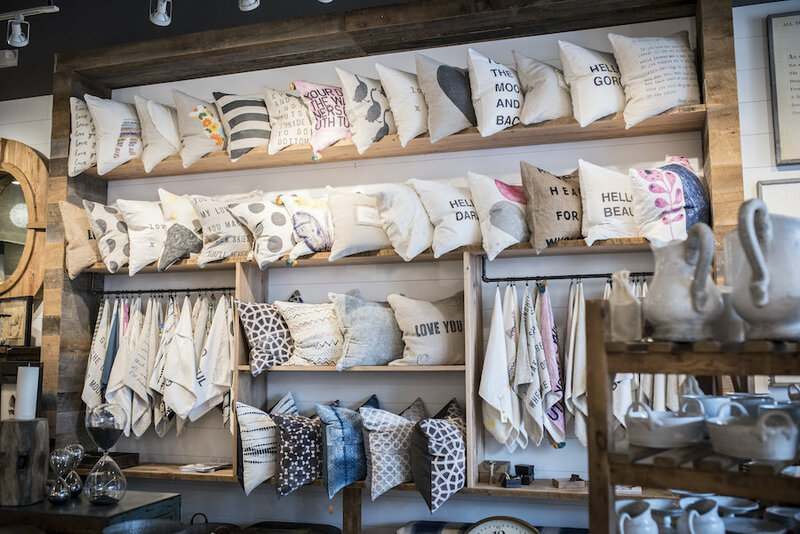 When you purchase any pillow August 11 through 20, you can purchase a second one at half off. If you build up an appetite during back to school shopping, Wolfgang Puck Express in the Marketplace is offering a free kids meal with the purchase of one adult entrée from August 4 through August 13. If you’re looking for some refreshing sorbetto, Vivoli il Gelato in the Landing will cool your palate with their seasonal pineapple, watermelon and cherry flavors. And stopping by Ghirardelli is the perfect way to enjoy that end-of-summer sundae, as well as satisfy that sweet tooth. Check out Disney Springs for your back to school 2017 shopping and share your favorites with us using #DisneySprings on Twitter and Instagram. This entry was posted in Disney, Disney World, Florida, Orlando, United States, Walt Disney World Resort and tagged Disney Springs, Disney World on August 11, 2017 by siera. 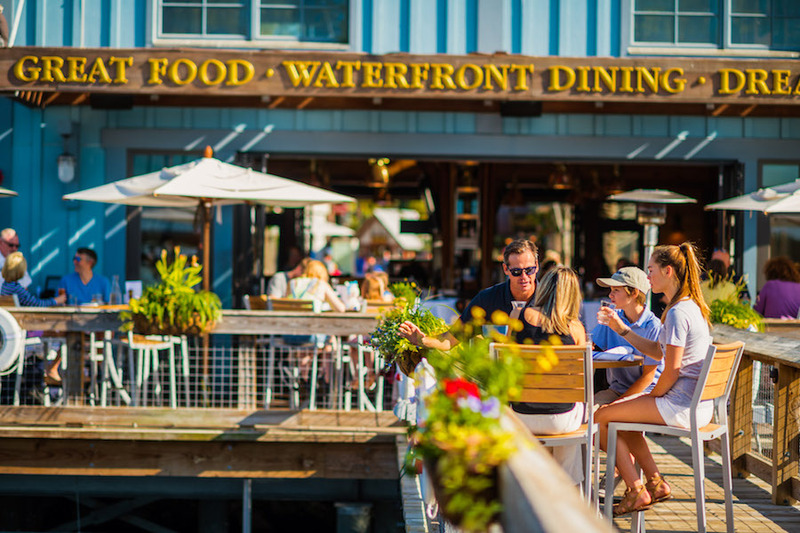 More shade, big umbrellas and new frozen margaritas at Dockside Margaritas, a favorite waterfront respite for cold drinks and live music. And while classic margaritas and other cocktails are on the menu, seasonal frozen margaritas (watermelon, apple, agave nectar and tangerine mix-ins are among rotating flavors) are fun for summertime. Live music usually starts around noon and goes until 10:15 p.m.
Splitsville Luxury Lanes on the West Side added more air-conditioned space on the second floor with an enclosed balcony that expands the dining room. Tables and high tops are along the windows, with fabulous views of Disney Springs through floor-to-ceiling windows. A new bar anchors the space. The BOATHOUSE at The Landing has three new summer dishes: herb-marinated grilled shrimp with smoked jalapeño grits, cornbread and housemade jalapeño jelly; house-smoked beef brisket au jus sandwich with spicy giardineria; and coconut bread pudding souffle with roasted pineapple and rum caramel sauce. The popular “Jasper Board” starter gets bigger at Chef Art Smith’s Homecomin’ with smoked fish dip, pimento cheese, shaved country and tasso hams and buttermilk crackers. With a cocktail, it’s a meal. 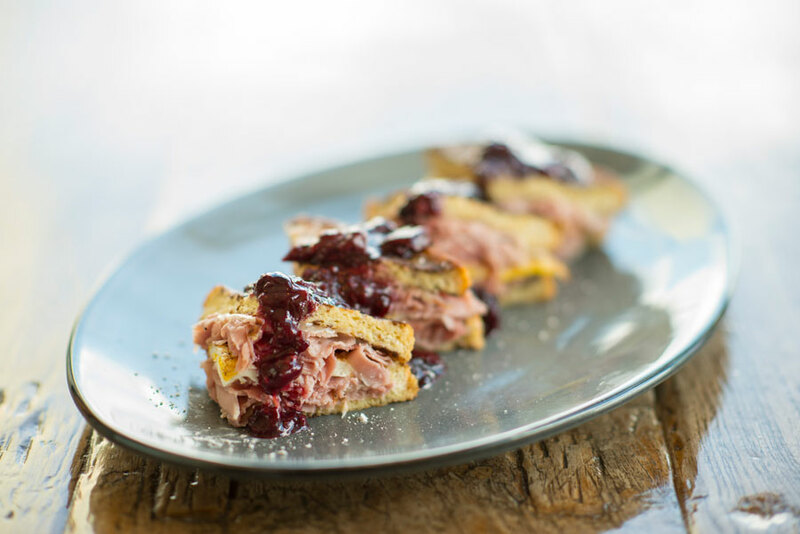 Or try the new “Ham, Ham & Jam” with three Cheddar drop biscuits with ham, blackberry fig jam and pimento cheese. 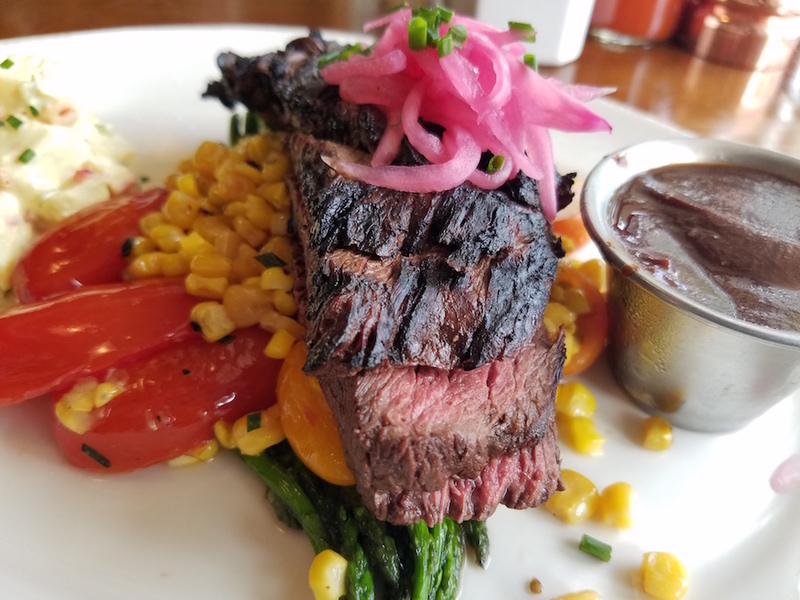 A new hangar steak with good ol’ Southern succotash (made with grilled corn, tomato and lima beans) and a new Chef Art Burger with Art’s special secret sauce round out the savories. 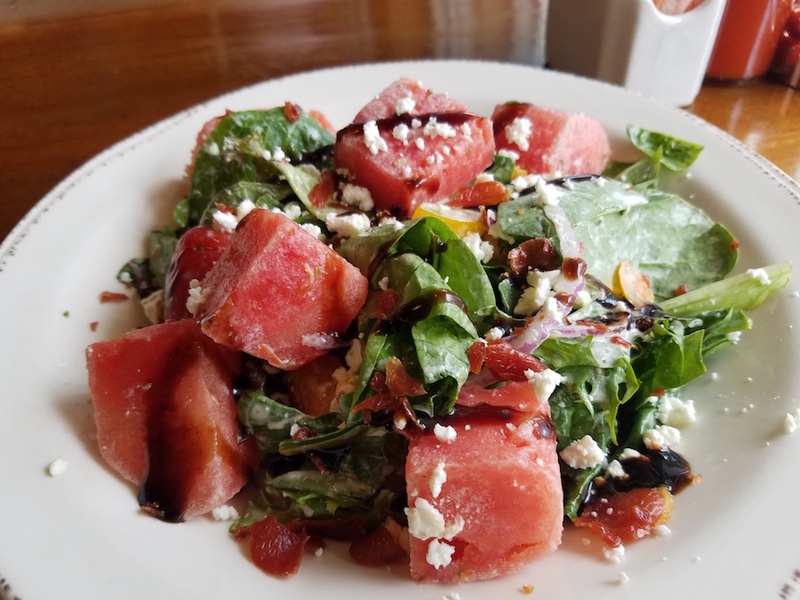 If you want to go lighter, there’s a new watermelon salad with heirloom tomatoes, crispy ham, feta cheese and candied pecans. 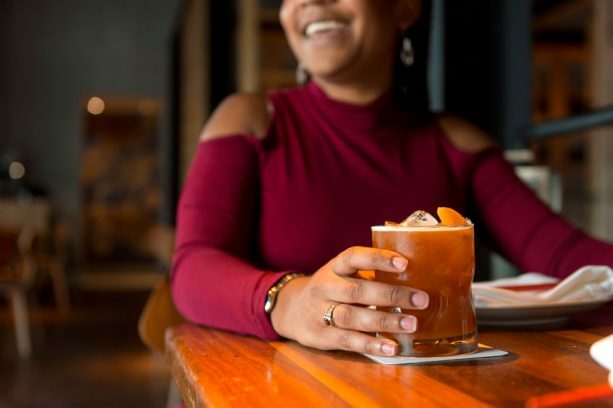 STK Orlando has a new happy hour menu, available every Monday through Friday from 4 to 6 p.m. with small bites like Cherry Tomato and Watermelon Skewers for $6 and beer and well drinks for $4. The Polite Pig in Town Center added five bourbon flights: The Friendly Flight, The Polite Flight, The Refined Flight, The Rye Whiskey Flight and the American Whiskey Flight. A fun way to try a sip of something new – each flight has three bourbons. There is also a new BBQ Cheddar Sausage Hoagie and Double Layer Chocolate Cake. 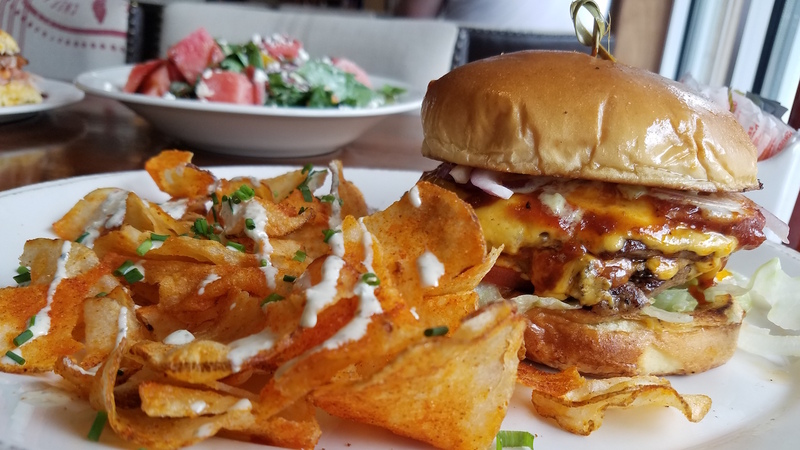 This entry was posted in Disney, Disney World, Florida, Orlando, United States, Walt Disney World Resort and tagged Disney Springs, STK Orlando, The BOATHOUSE, The Polite Pig on July 14, 2017 by siera. 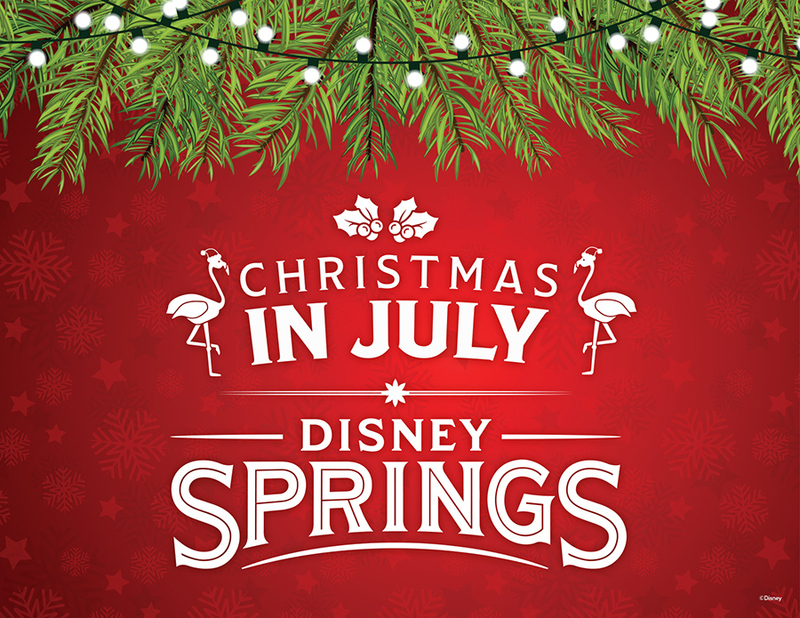 For the first time in 2017, the holidays will begin a bit early at Walt Disney World Resort with the celebration of Christmas in July at Disney Springs. 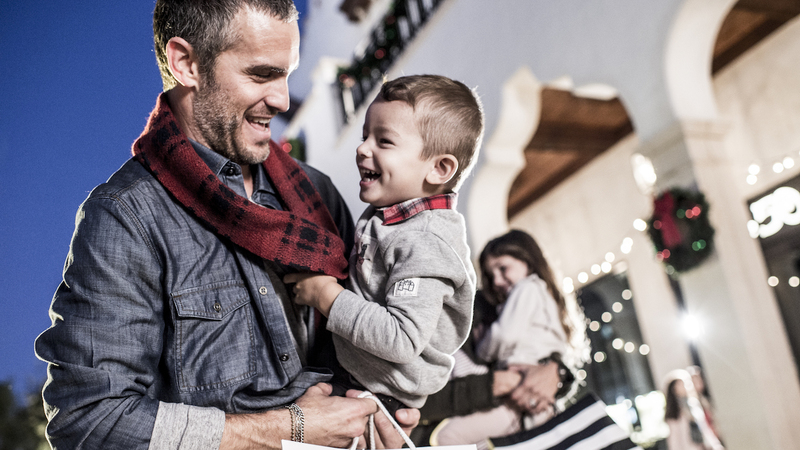 Beginning July 15 through July 30, 2017, you can start searching for the perfect Holiday gift throughout the Disney Springs Marketplace while experiencing special holiday-themed treats, merchandise and entertainment offerings. 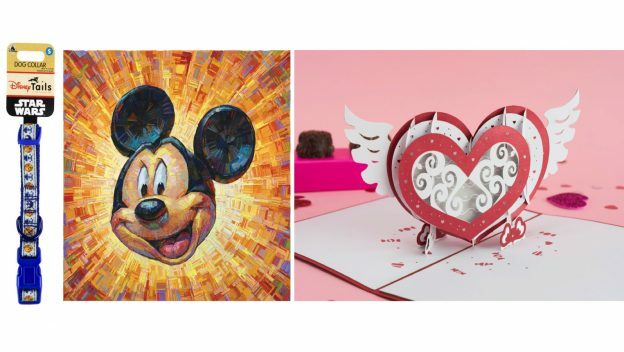 In July, The Art of Disney is featuring holiday inspired art with artist meet and greets, Dockside Margaritas is pouring the Snowflake Margarita, and Disney’s Days of Christmas is hosting a special meet and greet with Santa – dressed for the Florida heat. 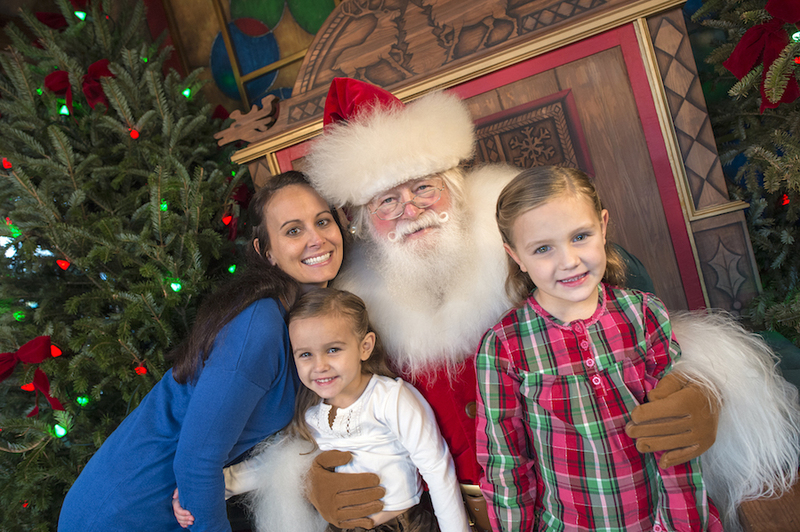 “Summer Santa” will be on hand for photographs 1:00pm to 10:00pm. For this limited-time Disney Springs celebration, a DJ will be spinning Christmas-beats and Enjoy Your Face will be celebrating with holiday face painting designs. Even the Disney Springs fountains will be decked for the season. Also, Starbucks in the Marketplace is offering their holiday themed drinks and you can stock up on sweets at Goofy’s Candy Company or Disney’s Candy Cauldron, featuring peppermint bark and gingerbread cookies. 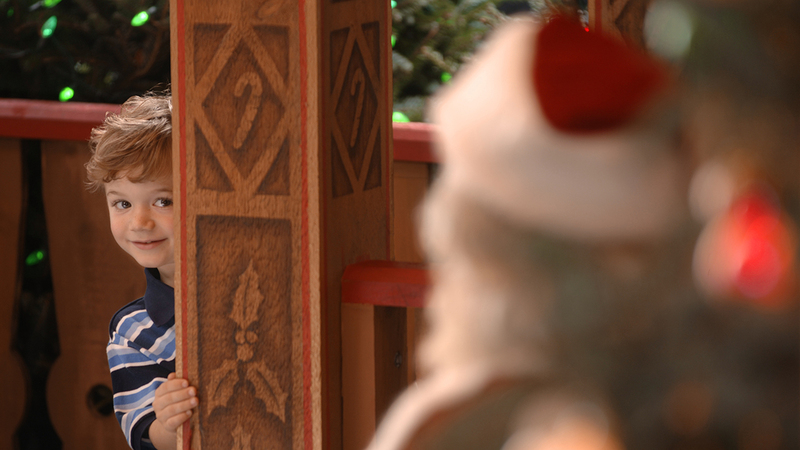 You’ll also find a few holiday-themed treats, including Santa Mickey and Minnie specialty apples and krispy treats, to delight children of all ages. 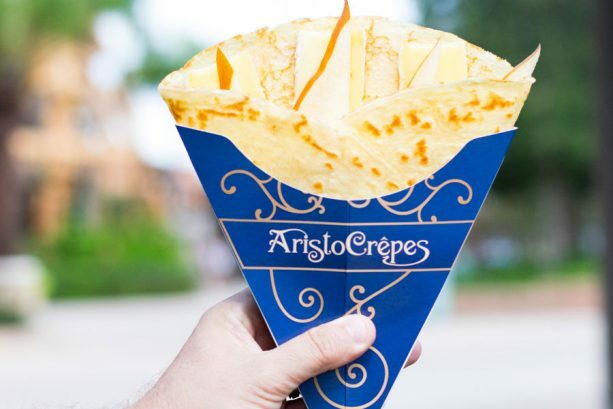 Head over to AristoCrepes to indulge in a gingerbread crepe. The special events continue in July with UNIQLO celebrating their 1-year anniversary with a Japanese Night Market inspired celebration. Now through July 30, 2017, guests can experience a taste of a traditional Japanese night market, complete with prize-winning games, special photo opportunities, origami and calligraphy classes, and more. 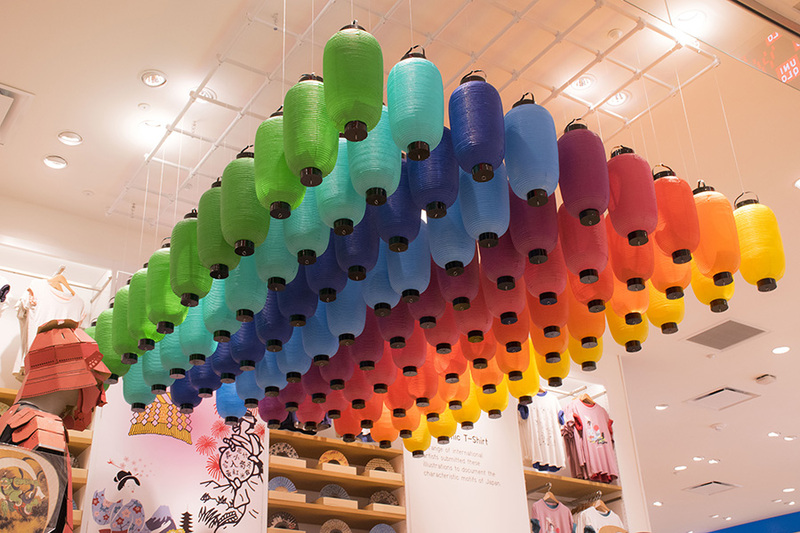 This event is a first of its kind at UNIQLO, and special activities run from 7:00pm to 11:00pm daily. Visit UNIQLO’s event page event page for more information. And, if you’re looking for a spot to relax before checking out the nighttime entertainment, multiple venues have enhanced their daily drink special offerings. 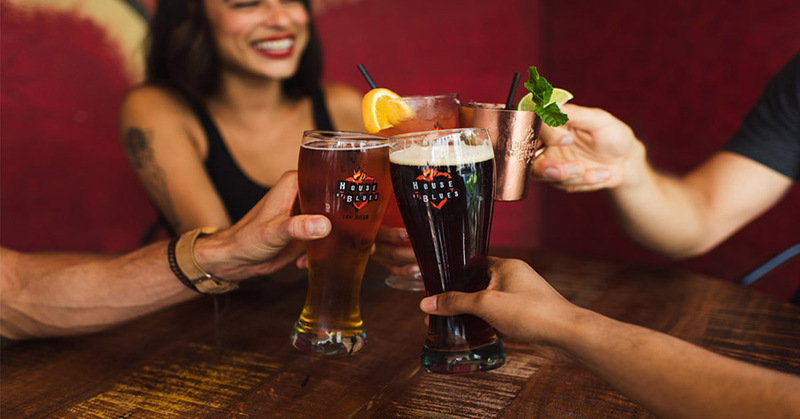 Throughout the month of July, the bar located inside the House of Blues Restaurant & Bar will offer drink specials daily, from 11:30am to 5:00pm. STK Orlando recently rolled out daily drink specials, and now Joffrey’s Tea Traders has also joined in on the fun. 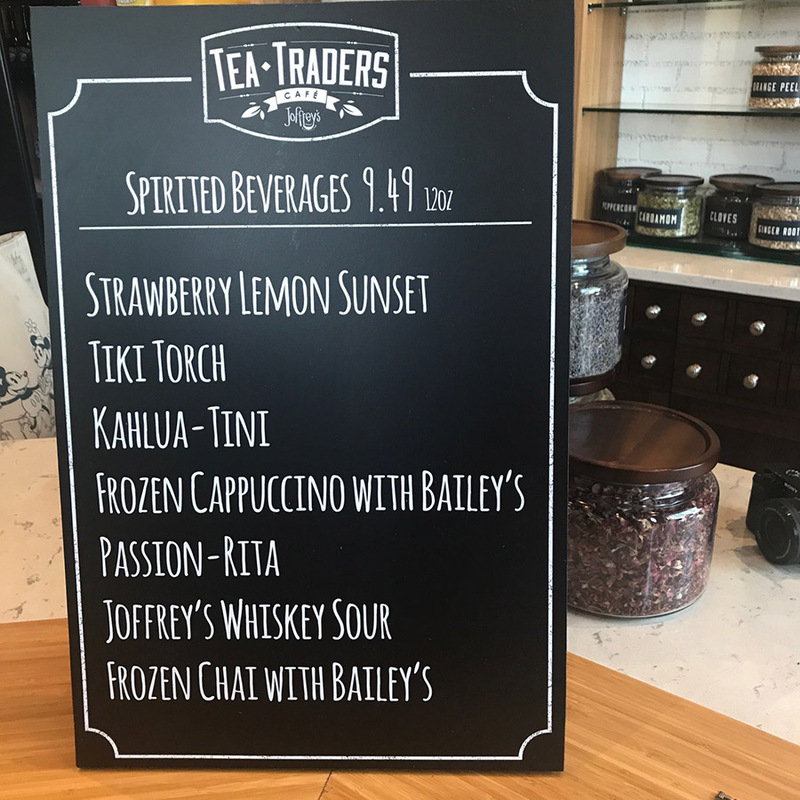 Stop by Tea Traders Café by Joffrey’s in the Landing between 4:00pm and 7:00pm daily to try discounted “spiked specialties,” including the Kahlua-Tini and Frozen Cappuccino with Bailey’s. This entry was posted in Disney, Disney World, Florida, Orlando, United States, Walt Disney World Resort and tagged Christmas in July, Disney Springs, Disney World on July 13, 2017 by siera.